From the settings area, click the 'Details' tab. Click the 'More options' menu and select 'Edit'. 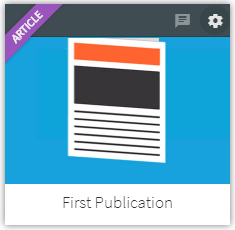 The publication fields that can be changed will become editable. Make the required changes and click 'Save' to apply. The publication details will be updated.